Welcome to VEGA’s new technologies. Here you’ll find innovations that were developed with two things especially in mind: you and the optimal functioning of your systems. Dive in and see for yourself how each one of these products provides more operating convenience, increased measuring certainty, cost-saving solutions and optimized integration into your systems! Industrial processes are highly automated nowadays. To ensure smooth operation, measuring instruments are employed to deliver a steady flow of up-to-date, objective information about the process to the control technology. Various hardware components as well as signal conditioning software process and integrate the measurement data. They convert the analogue or digital signals from the measuring instruments into information, i.e. 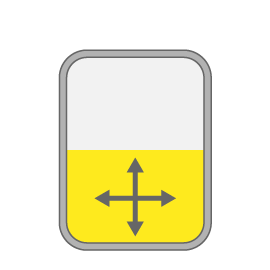 measured values, that are displayed on indicating instruments or fed directly into the control system. Differential Pressure Flow Meters are excellent for very low flows or low Reynolds numbers (Re. < 500), high-viscosity fluids which contains dust or solid particles, or applications for measuring flows of liquid cement, crude oil flow meters, asphaltic oil, coal-tar oil, wastewater, hard pulp, carbon black solution, asphaltic oil, coal-tar oil, wastewater, hard pulp, carbon black solution, as well as two phase flows. SmartMeasurementTM offers Cone-Type Differential Pressure flowmeters as well as a wide selection of Differential Pressure (DP) transmitters that can be used with a customer-supplied Differential Pressure element. Volumetric calculations can be performed with the ALDP-3051 transmitter with the ALDP-3051MV multivariable transmitter has the ability to perform mass flow calculations. Please see the Differential Pressure matrix below for the best fit device for your application. Smart Measurement’s ALSONIC-AVM system is an open channel flow meter that works as an area-velocity meter in conjunction with a user-supplied level transmitter to measure flow rates in open channels. The ALSONIC-AVM consists of an advanced DSP-based flow computer and four transducers, with the transit time difference of ultrasonic sound pulses being used to measure the open channel flow velocity. The ultrasonic pulses are transmitted upstream and downstream across the channel at an angle between the flow direction and the sonic wave path; the difference in the sonic wave’s transit time is directly proportional to the liquid velocity. 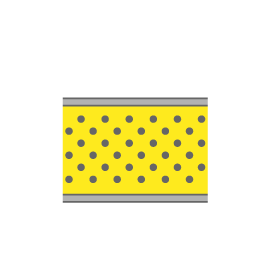 The ALSONIC-AVM may be used in rectangular, circular, trapezoidal, or other shaped channels. Since the transducers create almost no restriction, virtually no head loss is created. 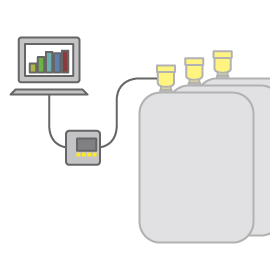 The advanced DSP-based flow computer with cross-correlation and FFT technology allows this system to work in the most difficult applications, including those involving liquids with high concentrations of suspended solids and air or a large noise component. Our unique transit-time technologies will enable accurate flow measurement even with less than ideal flow profiles. The ALSONIC-AVM also comes with an optional, patented Laser Pointer Alignment tool for alignment of each pair of transducers. What Is A Coriolis Flow Meter? Coriolis flow meters rely on the Earth’s Coriolis effect to measure fluid mass flow rates. Inside the flow body of a SmartMeasurement Coriolis meter, flow is diverted into two parallel sensor flow tubes, which are vibrated in opposition to one another by an energized drive coil. The mass flow meter’s phase shift, measured by Hall Effect sensors mounted at the sensor tubes’ inlet and outlets, is caused by the Coriolis effect and is directly proportional to the mass of the media flowing through the tubes. Thus, the Coriolis flow meter is a true mass flow meter. For further information on our Coriolis meters’ principles of operation, please visit our Coriolis Technology page. In addition to providing a direct mass flow reading, our Coriolis flow meters offer a number other advantages. Perhaps the biggest of these advantages is their multi-parameter measurement capability. SmartMeasurement Coriolis meters provide direct mass and volumetric flow rates, process temperature, and density readings. These liquid flow meters also provide inferred readings for density-dependent parameters such as water-in-oil percentage, degrees Brix, and degrees Baume. Another advantage of our Coriolis flow meters is that they require no straight pipe runs upstream or downstream of the meter. Request a quote today or contact SmartMeasurement to learn more about our Coriolis flow meter technology. SmartMeasurement offers Coriolis mass flow meters with several unique tube arrangements to best fit our customers’ unique needs. Our Coriolis meters are available for pipe diameters from ¼” to 8”. Flow rates vary by model, with options available to accommodate flows as low as 25 kg/hr up to 1,000,000 kg/hr. Have a question about our Coriolis mass flow meters? Contact the experts at Smart Measurement today. Micro Bend Coriolis Meter ALCM-MB ½" to 2"
Delta Tubed Coriolis Meter ALCM-DT ½"-8"
Thermal meters have no moving parts, wide turn-downs (up to 1000:1), a range from 0.02 meters per second (4 feet per minute) to over 200 mps (40,000 fpm), and very low pressure drop. SmartmeasurementTM, s ATMF series of thermal mass flowmeters can be used with pipe diameters ranging from 8mm (¼”) to up to several meters using our multi-sensor configurations. 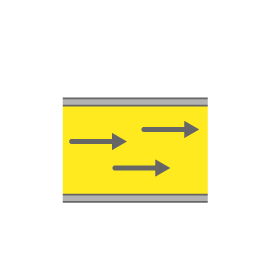 Process connections can be flanged, threaded, or hot-tapped ball valve. SmartmeasurementTM’ s ATMF Series Thermal Mass Flowmeters feature available integral style or remote mount electronics, an easy-to-read OLED display, and a unique calibration self-check technique that allows for field verification of the factory calibration. Please see the Thermal Product Matrix below to select the best configuration for your specific application. SmartmeasurementTM’ s ALTM turbine flow meters come in sizes ranging from 15-300mm (½” to 12”) and feature a wide turn-down with minimum uncertainty and a very repeatable output. The ALTM is excellent for precise measurement of instantaneous flow of low-viscosity fluids such as tap and demineralized water, fuels, liquefied gases, light fuel oils, solvents, and pharmaceutical fluids. Please see the turbine flowmeter matrix below to select the best meter for your application. Ultrasonic flow meters offer a number of advantages over other flow measuring technologies. The most distinct of these advantages is the non-invasive nature of ultrasonic measuring technique: fluid flow can be measured by clamping a pair of transducers onto the outside of the pipe without contacting the measured fluid. This installation method, unique among flow metering technologies, allows ultrasonic flow meters to be used in applications where the process cannot be shut down and/or the pipe cannot be cut for installation. Clamp on flow meters also cause no pressure drop, suffer no mechanical wear and tear, allow for bidirectional measurement, and provide the ability to pass unlimited solids past the meter without damage. Fluid velocity is measured by sending an ultrasonic pulse from an upstream transducer to a downstream transducer and back again. The measured difference in the amount of time that each pulse takes to traverse the pipe is directly proportional to the mean fluid velocity. SmartMeasurement’s ultrasonic flowmeters use this measured velocity to calculate the liquid flow rate based on user-entered information about the process application. For a more detailed discussion of our ultrasonic flowmeter’s principles of operation, please visit our Ultrasonic Measuring Principle page. SmartMeasurement offers a comprehensive line of ultrasonic flow meters with options for portable and fixed installation, in-line and clamp-on flow meter mounting, and multi-path transducers. We also offer flow meters with advanced DSP technology and the industry’s best algorithm; the patented cross correlation technique has scan rates measuring picoseconds, allowing the meter to be used in applications with high solids/bubble content of up to 30%. SmartMeasurement also offers a wide variety of ultrasonic energy/BTU consumption flowmeters with integrated temperature transducers. These instruments can be used in a variety of applications in industries ranging from oil & gas and municipal/wastewater to building automation and factory automation to solar and semicon. Request a quote on ultrasonic flow meters for your application, or contact SmartMeasurement to learn more. The SE series operating principle is simple. 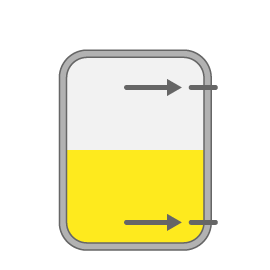 A unit is usually located through a bin wall at the top, middle or low level of a bin. During normal operation (no material present) a synchronous motor rotates the paddle at 1 RPM. When this paddle rotation is impeded by material, surroanding the paddle, motor will stall and cause the Micro switch to change state. (indicating an alarm or control) Product Introduction. The purpose of the rotary paddle level switch is to detect the presence of solid/powdery material in most kinds of tanks, bins and containers. The unit is usually located through a bin wall at the top, middle or low level of a bin. During normal operation (no material present) a synchronous motor rotates the paddle at RPM. When this paddle rotation is impeded by material, surrounding the paddle, motor will stall and cause the Micro-switch to change state (indicating an alarm or control). PB/PM series panel meters include bargraph and/or digital display units. Using microprocessor based electronics, modular design concepts, advanced digital calibration and switching power supply technology the PB/PM panel meters are available with a wide range of input types. For 2-wire loop powered analog inputs the PB/PM units provide the necessary transmitter power supply built-in to the panel meters. Single or dual input, the PB/PM panel meters are full-featured, easy to read and install. Options include up to 8 relay outputs, retransmission analog output, RS485 MODBUS serial link and a 20-point non-linear tank volume conversion function. Sizes include 3/16 and 1/8 DIN. The PB/PM panel meters are high value and packed full of great features! NOW WITH FREE OBSERVER USB SOFTWARE !! The Digilert 200 measures alpha, beta, gamma, and x-rays. Its digital display shows readings in your choice of counts per minute (CPM), CPS, µSv/hr, mR/hr, or in accumulated counts. Now with USB and the included Observer USB Software, you can download your accumulated data from the Digilert200’s internal memory, set alarms, and calibrate your instrument! Halogen-quenched GM tube with thin mica end window. Mica window density 1.5-2.0 mg/cm2. Effective window diameter is .360 inch. Side wall is .012 inch thick. Pulsating beeper sounds the alert. 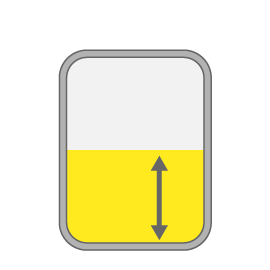 Adjustable alert levels are used for mR/hr / CPM, and µSv/hr / CPS. Alarm will sound when in Timer Mode when set alarm threshold is reached. Backlit 4-digit liquid crystal display with mode indicators. Display updates every 3 seconds. One 9-volt alkaline battery. Battery life is approx. 1200 hours at normal background radiation levels. Carrying Case, Observer USB Software Download, USB Cable, Certification of Conformance.